Heroes, Heroines, and History: MMMadness with great GIVEAWAYS! 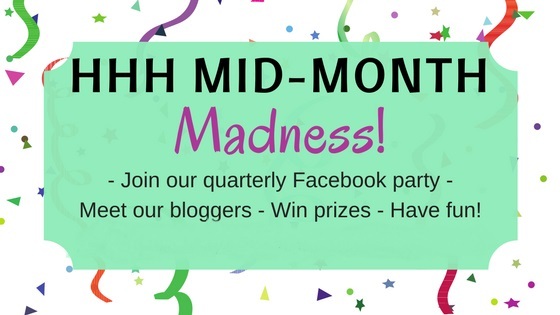 Welcome to the Mid-Month Madness Party! 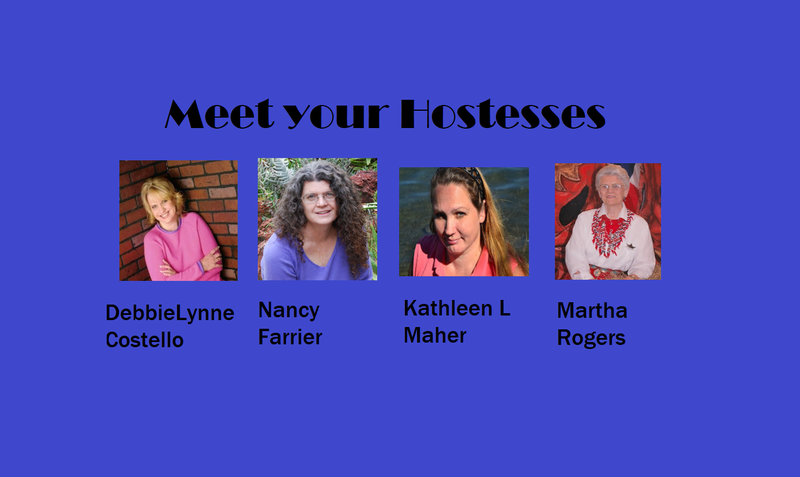 Four of the Heroes, Heroines, and History (HHH) bloggers will be your hostesses. We hope you enjoy the party! Summer is winding down but it's still hot so wear something fun and cool. We have sweet tea and lemonade with lots of ice and of course finger foods, brownies, cake, and some healthy veggies. So kick back and visit with us today. Feel free to ask us questions about our books, writing, or our lives. And we'd love to hear what's going on in your neck of the woods, along with what you like to read. Scroll through all our books and when you get to the bottom of the page you'll see the great giveaways for the blog party. Each author contributed to the prizes. Be sure to leave a comment with your email address so we can let you know if you win. You can also check the side bar where we list winners. Thanks! And enjoy the party. Don't forget to hop over to the Facebook Party for more prizes! Avice Touchet has always dreamed of marrying for love and that love would be her best friend, Philip Greslet. 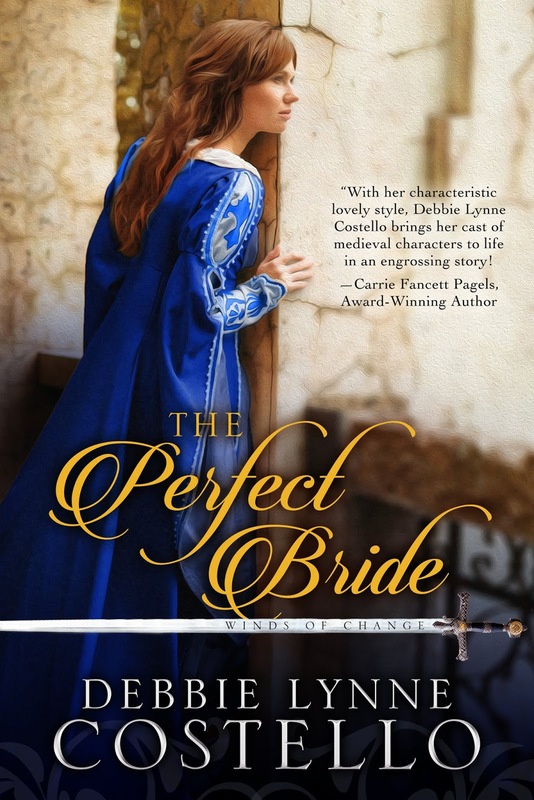 She’s waited five years for him to see her as the woman she’s become but when a visiting lord arrives with secrets that could put her father in prison, Avice must consider a sacrificial marriage. Philip Greslet has worked his whole life for one thing—to be a castellan—and now it is finally in his grasp. But when Avice rebuffs his new lord’s attentions, Philip must convince his best friend to marry the lord against his heart’s inclination to have her as his own. Rosalinda knows she will never escape her past, both the choices forced on her and the mistakes she’s made. She longs to find a place to live in peace—where she can learn to mother her children and where Lucio Armenta won’t be a constant reminder of the love she can never have. Lucio wants to marry. However, Rosalinda, the only woman he’s ever been attracted to, doesn’t meet the ideals he’s set for his future wife. When he discovers she, and her adorable brood, are accompanying him to his sister and brother-in-law’s, he objects. An objection that is overruled. When secrets from Lucio’s past are exposed, and Rosalinda faces choices no woman should have to make, will their growing love, and their faith, survive? When a fiery social crusader interrupts a slave auction, a horse trader and his twin brother are set on a collision course with war – – brother against brother. Can the passion that severed ties lead to a love that overcomes hate? 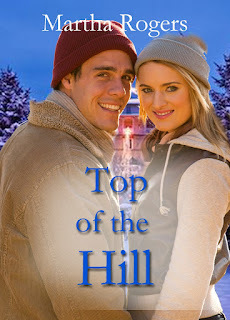 Russ Fleming shows up at the Lodge where Kaitlyn Bronson is event planner, and her world shatters with the memory of his rejection seven years earlier. When he seeks her forgiveness and tries to explain, she rejects him. Even though she still loves him, she can’t forget how he left to join a ski team with no explanation. Even after he reveals his past and the reason for his abrupt departure, the forgiveness doesn’t come. Kaitlyn’s conflicted feelings wreak havoc in her soul until she sees the truth behind her own attitude and takes the path to the top of the hill where she can conquer her fears. BE SURE TO STOP BY THE FACEBOOK PARTY TODAY FROM 1 TIL 3 FOR A CHANCE TO WIN MORE GREAT PRIZES! 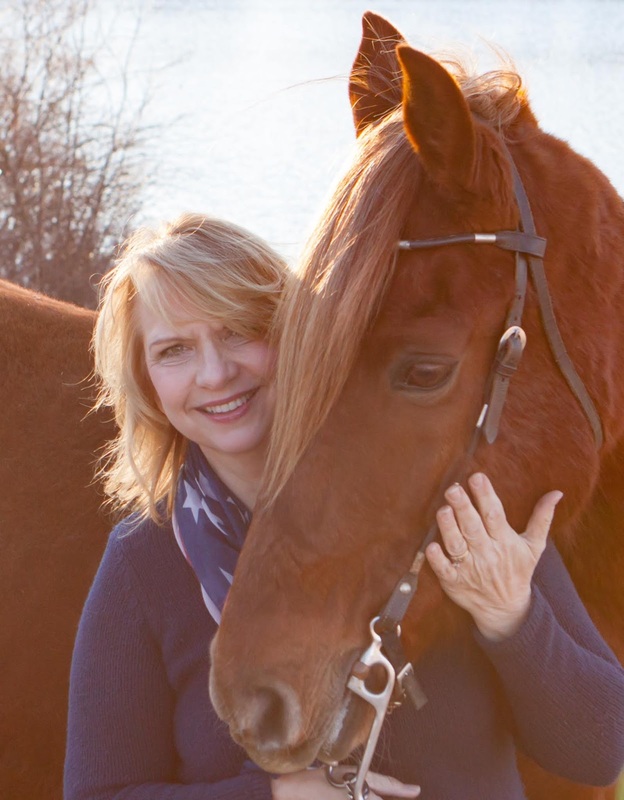 Nancy grew up on a small farm in the Midwest amidst a close knit family. She came to love farm life including the cooking, gardening and canning, but not so much the cleaning house part. In school she often got in trouble in history class for hiding a fiction book in her text book to read during the teacher’s lecture. Nancy was shocked to later discover she had such a love for history. 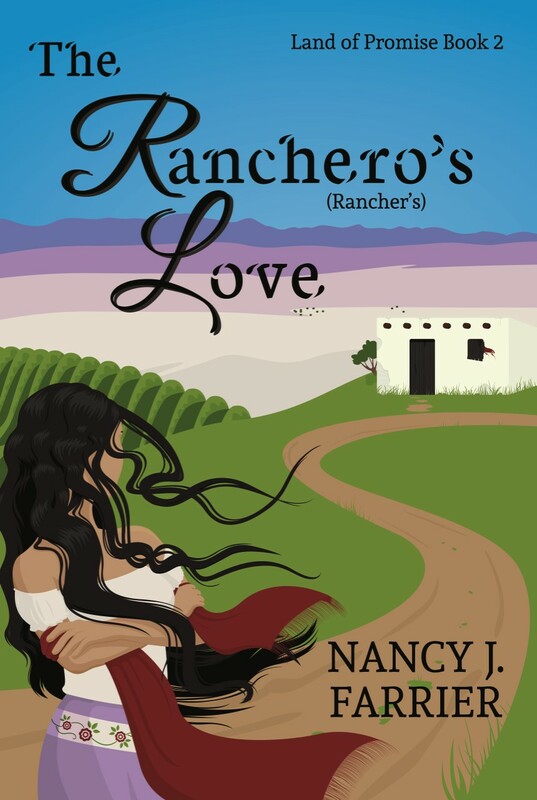 Now Nancy lives in Southern Arizona and loves to research and include bits of history in her books. 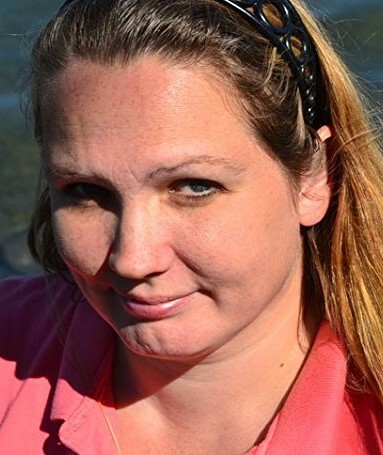 She is a Christian and enjoys encouraging her readers in their faith. 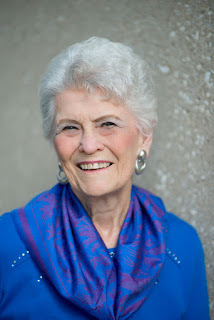 Kathleen L. Maher has had an infatuation with books and fictional heroes ever since her preschool crush, Peter Rabbit. She has a novella releasing with BARBOUR in the 2018 Victorian Christmas Brides collection, featuring her hometown of Elmira, New York. 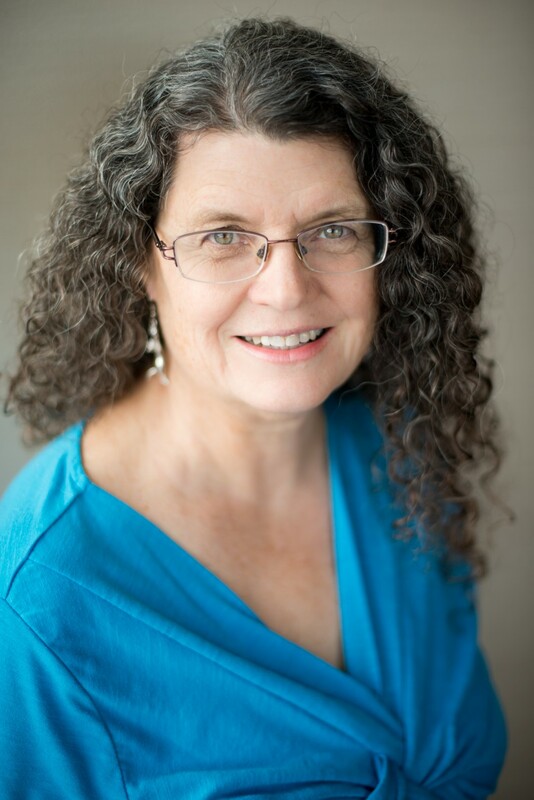 Her debut historical, Bachelor Buttons, blends her Irish heritage and love of the American Civil War. She won the 2012 ACFW Genesis contest for her Civil War story, releasing this summer under a new title The Abolitionist’s Daughter. Kathleen shares an old farmhouse in upstate New York with her husband, children, and a small zoo of rescued animals. Thank you, Connie. We do appreciate you too. Hey Connie! Thanks for coming by the party and for being so faitfhul!!! Hi Kim, good to see you here today. Hope to see you at 1 o’clock Eastern on Facebook! Thank you for stopping by, Kim. Hey Kim! Yes we have some new releases this month! Mine is an old on that didn't get a lot of exposure and I'm trying to get the word out on it. I have the new Christmas book released this week. Glad you stopped by, Kim. Hope to see you at 1 o’clock Eastern for my timeslot Marilyn. Thanks for celebrating with us! Hi Marilyn. Those time differences are certainly tricky for me too. Thanks for stopping by. See you at the party. Goodness, Marilyn! We do need to remedy that! Have fun at the party - I volunteer at our local hospital in the gift shop on Wednesday afternoons, so I cannot be there. So sorry to miss it. HI Betti, I'm sorry you'll miss the party. What a wonderful gift to volunteer at the hospital. Have a blessed day. I'm sorry you missed the facebook part, but you're entered to win one of four prizes to be drawn on the blog here, selected tomorrow. Thanks for always being so supportive, Betti. for coming by here and for your volunteer work! Sorry you missed the party, too, Betti. It's wonderful that you volunteer at your local hospital. I always wanted to do that. Hello Debbie Lynn, Nancy, Kathleen and Martha! I'm excited to celebrate Midmonth Madness with you. Hi Caryl. So glad you dropped by. See you at the party. Caryl!!! Good to have you here with us. We had a fun time. Thanks for stopping by. 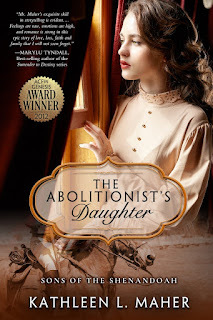 Loved The Abolitionist's Daughter! Hope everyone gets a chance to read it! Decided to go to chiropractor later so now I'll be able to make it to the party! �� Going to go charge my battery. HI Diana. I'm glad you were able to change that appointment and make the party. See you there. Diana, you are the sweetest. Thank you! Hey Diana! Thanks for coming to the party! It was great seeing you there. We hope you have fun, Rose. See you at the party. hi, Rose! Thanks for coming by! Hey Rose, Sounds like you like parties, too! Glad you stopped by, Rose. I'm looking forward to this - it is always fun! Hi Linda. Thank you for your enthusiasm. See you at the party. Great to see you today, Linda. Awe, thanks, Linda. That is always good to hear. So glad you enjoy our parties. MMM is a fun time. I am so excited to meet new authors to me and so excited to Kathleen that our book is finally done... Love a great party about books !!! History especially !!! Linda, I'm so glad to have you here and to connect with you. Hey Linda!!!! Thanks for coming by! It's always fun to connect with new people. Glad you stopped by. Paula, so nice to have you here. Thanks for stopping by. Hey Paula!! Thanks for coming by. It is always great to meet new authors! Thanks for stopping by, Paula. So glad you stopped by and found new authors. Thank you for commenting. It's so nice to connect. Hey Dede, Thank you for reading our books! Thank you for stopping by. Hope you will enjoy our books. Always fun to find new authors and new readers. Books look great! Looking forward to the party! Thank you Shelia. It was a good day! Thanks, Sheila. I'm glad you could join us. Thanks for coming by Shelia. Party on! Congratulations to each author! The books all sound really good. Thank you! I'm so glad you could join us. Chappy!!! Thanks for coming to the party! Enjoying the party. Thank you for the opportunity to meet new authors and add books to the library! It is a pleasure to meet readers and fellow lovers of history! Thanks, Anne. Anne, it was so good to meet you at the party. Thanks for stopping by the blog too. Thanks for coming by and partying with us, Anne. Rose, I'm so glad you came. It was wonderful to meet you. Hey Rose, So glad you enjoyed the party. Good luck in this giveaway! Hi, Rose! So glad you were able to join us. Kathleen, Nancy and Debbie...Rose is my daughter-in-law's cousin. We connected through a Facebook party not long ago. Small world. hey, Alison. Great to see you. Blessings! Alison, it was wonderful to have you join us. Thank you. Thank you for coming by and celebrating with us, Alison. Thanks for being so faithful, too! So glad you joined us for the party and I hope you enjoy reading our books. hello again! Thanks for your encouragement to us writers. I love meeting and interacting with new readers! Thank you, Rose. Glad to have you here. You're in great company here. History is our passion! Thanks for coming by. Hope to see you around. It's always nice to meet a fan of historical fiction. Thank you for stopping by. Hi, you're the winner of my book. I'll be emailing you with details. Thanks for stopping by. I am so sorry that I missed your party, I even had my dress picked out! The weather forecast of rain for the next week prompted me to mow yard. I plan to go back and read the posts on the FB party page but please enter me in this giveaway. All of these books look great! You got it, Connie. And there is an entry on one of my posts for a rafflecopter you can still enter if you read through. Connie, I"m sorry you missed the party. Glad you are here and I hope you got your lawn mowed before the storm. Awe, shucks, Connie. We understand. But you are entered in this one! So sorry you missed the party, but glad you stopped by here. Sorry, I forgot to include my email. Thanks very much for the event although I missed it. I was out and about at the time. Melissa, thank you for stopping by the blog and commenting. I'm sorry you missed the party. No problem, Melissa. But you still have a chance to win here. I missed the FB party, life got in the way. But all the books look great. Michele, life does get in the way sometimes. Thank you for taking the time to comment. Hey Michele. Life has a way of doing that! Hi ladies! Thanks so much for the party. Sorry I missed. We had to be out during that time. I checked it out. Looks like it went well! Congratulations on all the books! Hi Nancy. Thank you. I'm sorry you missed the party, but I'm glad you took the time to look at the posts.